One of the best moments for any guy during his entire life is holding a baby in his arms for the very first time. The moment you picked baby up, you immediately realise that this is going to be one of the most wonderful experiences of your life. After all, you become a father. But someone said it right great authorities comes with great responsibility! After the kids have grown up, you just stop worrying about them much. as you realise that now they are mature and can handle theirselve, but the childhood part make every dad’s life worse. We simply don’t know how to handle a kid. even so at picking diaper bag for ourselves. These are the issues we need to reflect over to keep all the hassles out. It’s worth reflecting over, what to do when your wife is out and you need to buy a diaper bag that suits your requirements and obviously baby’s too. This is the most complicated part of your entire life, right? You just need to stop giving a thought to these things when you reach mall or stop irritating your wife or others in the mall by asking them over and again. 1.Bigger diaper bag is not necessary:You are no more in a school or college where you used to carry a bag, wherein, you could fit all your sports clothes, books, food etc. You simply need a bag to keep baby’s things and some of your necessary stuffs. It does not mean that you will go for a small bag that is not even able to equip all required stuff. 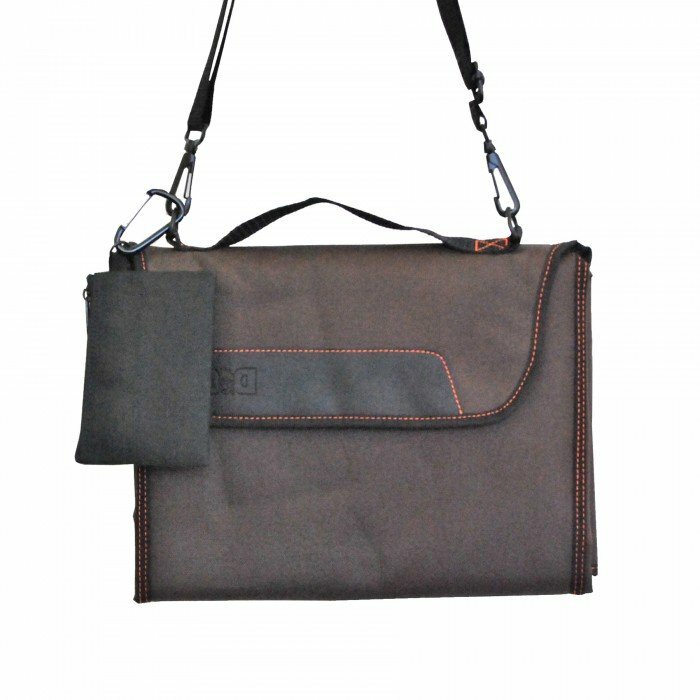 Choose a bag which has inner compartments or flap pockets that can fit your stuff in an organised manner. 2.Explore the various patterns :Most of the people presume that the diaper bags are specifically designed for moms and all the patterns will be girlish at store. This is not true! Probably, the store you visited may have a collection of mom’s diaper bag only, but, there are various stores which only deal in men’s diaper bags. So, the next time before actually stepping out to buy the bag, exploring a wide range of patterns at online stores which offer men diaper bags. 3.Try the cool option of bag on:It is necessary to try bag before buying the same. Most of the times, the bag that seems perfect to you might end up being uncomfortable when carried out with baby and all the stuffs in it. This mistake is often done by dad’s more than mom’s. So, the next time when you visit a store, try on the bag for a few minutes by filling it with something inside. This will test your shoulder’s strength to carry the weight of bag stuffed with essential things and baby in it. 4. Don’t spend too much:The utility of a single bag to serve multiple purposes for a longer time is the most common aspect people watch out for. Hence, it implicates that it should be made up of a better quality and purchased from some expensive store. However, one needs to broaden the search by overlooking the above two myths. One size cannot fit all the needs you have pertaining to the diaper bag. Don’t spend too much on a single bag as you might need more in future! Therefore, you should select a cheap yet the best option, when it comes to a diaper bag. You don’t need to put in extra efforts and think much over buying a diaper bag. Stay calm, search online and remember all these above stated points, they will certainly help you to buy a diaper bag that suits your style.